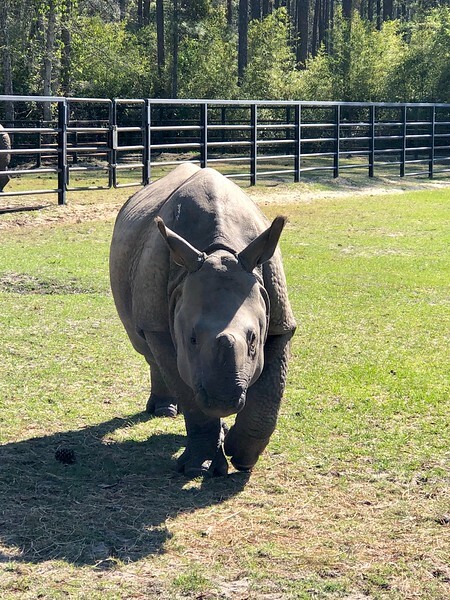 Located on the banks of the St. Marys River in Nassau County, White Oak Conservation is an internationally known premiere wildlife conservation facility 30 miles north of Jacksonville. The facility, which encompasses 700 of 16,000 acres on White Oak Plantation, was originally established by philanthropist Howard Gilman in 1982. The plantation’s history dates back to April 16, 1768 when the British governor of Florida provided a land grant to his deputy surveyor of lands, Andrew Way. Three years later, the property was acquired by Jermyn Wright. The brother of Royal Governor James Wright, Jermyn Wright built the road from the Cow Ford (in present-day Downtown Jacksonville) to the St. Marys River in 1774-75 along with another brother, Charles. The Wright brothers were also considered pioneers of tidal culture rice production along the Savannah River. At White Oak, Wright cleared roughly 350 acres of cypress trees from the property’s swampy areas to establish the southernmost rice plantation on the Atlantic coast. Today, Wright’s abandoned rice paddies remain visible. 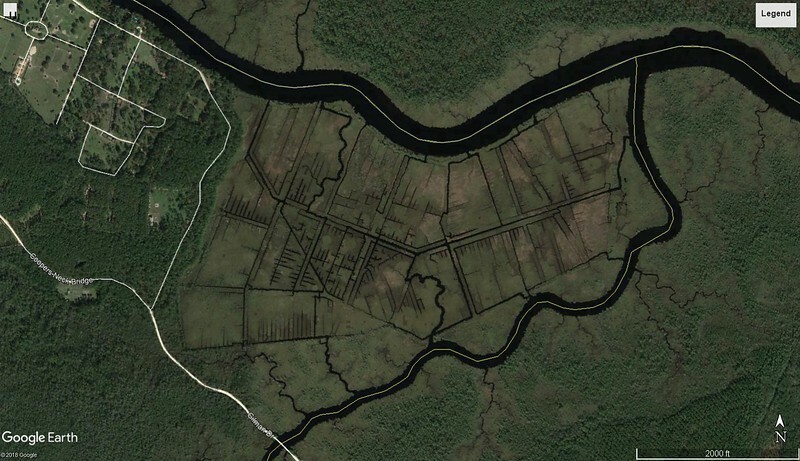 Visible abandoned rice paddies developed by Jermyn Wright at White Oak in the 18th century. Aerial courtesy of Google Earth. In 1833, White Oak was acquired by Zephaniah Kingsley, who owned the plantation until it was sold to Abraham Bessent of St. Marys, Georgia. 118 enslaved persons, 109 whose names were recorded in the deed, were included in Bessent’s purchase. However, the property’s run as a plantation with enslaved labor came to an end following the American Civil War. In 1938, White Oak Plantation, along with extensive timberlands in Florida and Georgia, were acquired by Charles Gilman. In 1939, he relocated the operations of the Gilman Paper Company to St. Marys. Founded by his father Isaac Gilman in Vermont in 1884, the Gilman Paper Company grew to become the largest privately held paper company in the country by the time Charles Gilman’s son Howard took over the business in 1981. 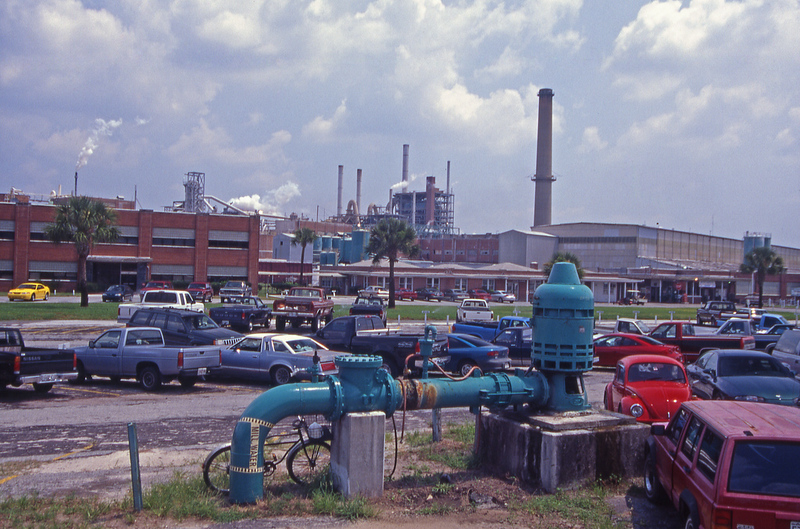 The Gilman Paper Company in St. Marys, Georgia, on July 22, 1999. After Gilman’s death at White Oak in 1998, the mill was sold to the Durango Paper Company which closed operations permanently in October 2002. Image courtesy of Alan Cressler. After gaining control of the business, Howard transformed White Oak into a $154 million playground for the elite. Improvements made to the site by Gilman included a dance studio for ballet dancer Mikhail Baryshnikov, a 70-building conference center, and a 600-acre conservation center housing more than 20 threatened species. White Oak’s laundry list of famous guest and celebrities includes Bill and Hillary Clinton, actress Isabella Rossellini, Colin Powell, Al Gore, Madonna, Julia Roberts and John Travolta. In addition, White Oak became the escape from reality for President Clinton during the height of the Monica Lewinsky scandal. Following his presidency, many Clinton Global Initiative planning retreats have been held at White Oak. In March 2013, White Oak was acquired by longstanding conservationists Mark and Kimbra Walter, who transformed it into one of the world’s premiere wildlife conservation facilities. According to its website, the Walters established White Oak Conservation Holdings, LLC to promote endeavors in conservation through innovative science, education, training, and collaborations.